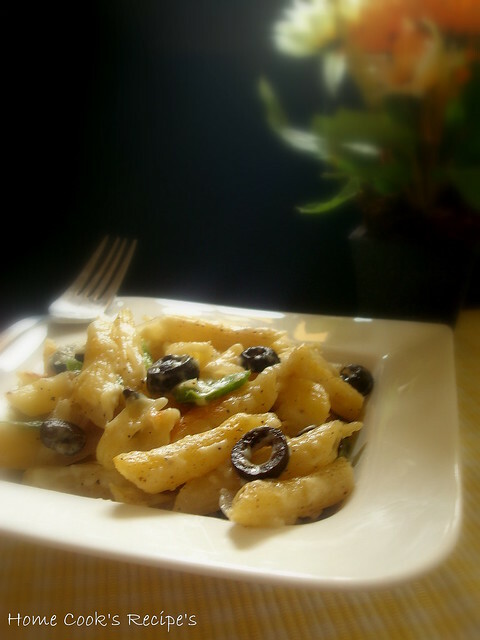 Iam looking for quick side-dishes for idly, if you want to help me, please suggest me a quick side-dish for idly. I could spare just 10 mins in the morning to prepare a sidee for idli's. 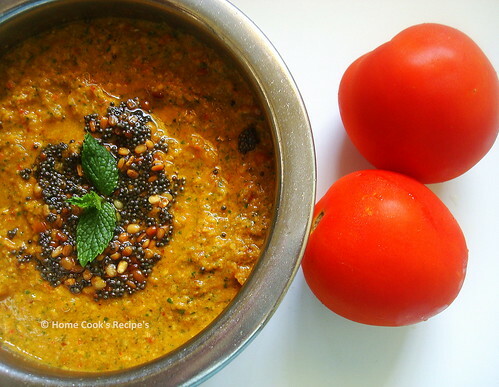 if coconut is grated and freezed, then its coconut chutney, and other day is for tomato chutney. Today i prepared this Tomato Gosthu for break-fast. the left over gosthu, was served for lunch, with boiled eggs. such a 2 in 1 dish has to be blogged here isn't it? 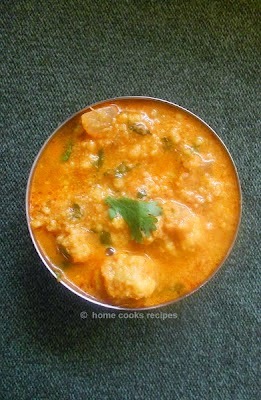 This Tomato Gosthu is the first dish, that i cooked for my father. it took me 45 mins to serve for my father once. 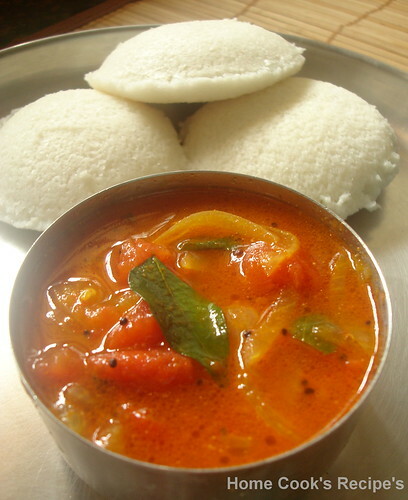 Idly and Tomato gosthu is my favorite during my college days. Now within 10 - 15 minutes, i am preparing this gosthu easily. Heat a Pan, add oil and heat it. add mustard and let it crack. add curry leaves & green chilli and saute them. Add chopped onion and saute it along. also add chopped tomatoes and saute it, till they turn mushy. Now Add Turmeric powder, Chilli Powder, salt to taste and 1/2 cup water and give a mix. Let the mix boil for 2 minutes and switch off the flame. Garnish with some corriander leaves. Pasta's are ordered often when we visit Pizza shops. 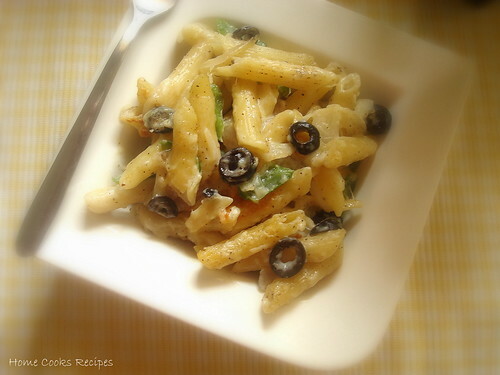 I love the Olive oil flavour and the crisp veggies on the pasta's. Once i started to make Pasta's, i never ordered on pizza outlets. 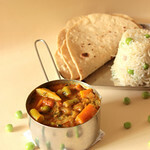 its such easy to make and we can add the choice of vegetables and customise it very much. Boil a cup of Penne Pasta iin 3 cups of water for about 12 minutes. Drain the boiled pasta and keep aside. Heat a Pan, heat 1 tbsp of Olive oil on it. add chopped Onions and Capsicums and saute them for half a minute. remember not to over cook them. add chopped olives to the pan give a mix. add little salt to taste. Olives may have salt, so add very little salt. Add the boiled Penne Pasta's to the pan and give a toss. so that the veggies and pasta's mix together. switch off the flame and turn them into a bowl. Heat a Sauce Pan, add little butter and let it melt, now add the flour and fry it well. add boiled and cooled milk to the sauce pan and mix well. remember to turn the flame to medium here. Add a cube of processed cheese(grated) to the sauce pan. Keep stirring the milk with the flour, till the mix, gets little thicker, like sauce and the cheese should have melted. add little salt and pepper to taste and remove from the flame. Now Mix the White Sauce and the Penne pasta and mix well. 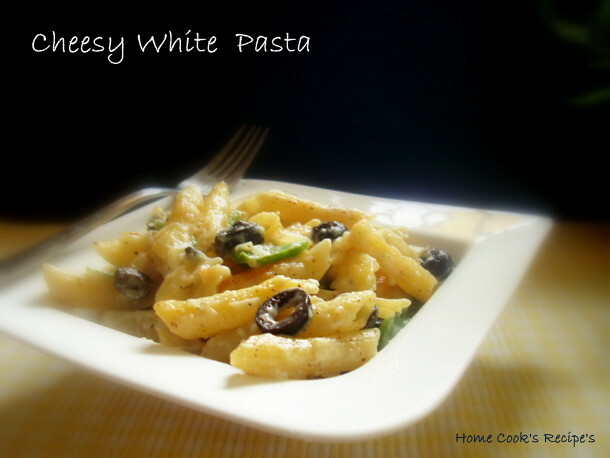 Transfer the Pasta mixed with white sauce to a baking bowl. add mozarella cheese over the top and broil or grill for about 5 -7 minutes, till the cheese had melted and the top had turn into golden colour. Last Weekend my son had his culturals day. Only on his reharsal's day, (i.e) a day prior to the culturals day, i came to know, the song, for which he is going to perform. that night, we searched for that song in the youtube and played it. My son did few steps and he was dancing good. even the next day, before starting for the function, we gave him another rehersal and took him to the function hall. Do u know, what he did on stage, when he is supposed to dance, he stood simply for the whole performance. but i guessed that it would happen, as i had similar experience with my brother too. 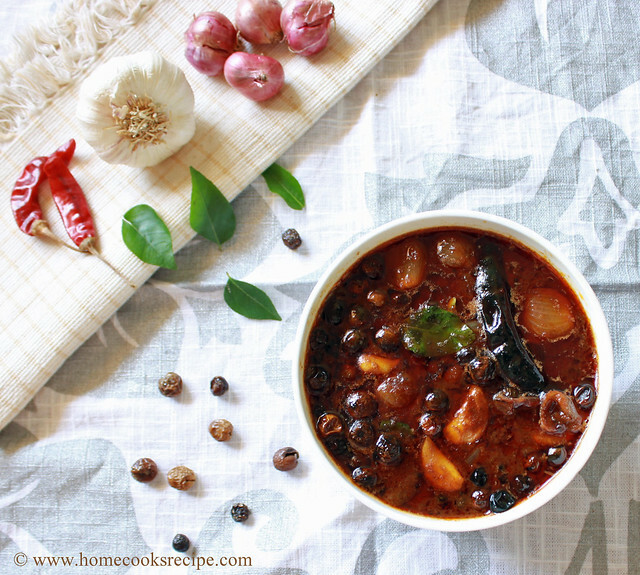 Coming to this Thakkali Puthina Chutney, i love this chutney very much, as it can be prepared quick and it also tastes good with hot steaming idli's. 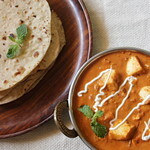 However adding Puthina is optional, Mint Leaves addition gives a nice taste and aroma. and its good for digestion. Heat a pan, and a tbsp of oil, add chana dal and roast it, till it turns golden colour. add garlic pods and roast it too. Now add chopped onion and tomatoe's and fry them. add salt to taste and chilli's and mix well. Add Washed and Drained Puthina Leaves to the pan and saute it along. now add grated coconut and saute it for a minute and remove the pan from flame and cool it down. Add 1/3 cup of water and grind it along with the cooled ingredients of the pan to a smooth chutney. Now, heat a Tadka pan, and heat oil, add mustard and let it splutter and add urad dal and roast it and add to the grinded chutney. Serve the Chutney, with Hot Idli's and Dosa's. This Chutney is one of our favourite. Do try it! * I also add Chilli Powder instead of dry red chilli's. * You can also have a small bit of tamarind while grinding the chutney.